While studying the interrelated functional areas of businesses and exploring case studies, you will develop skills in solving business problems, making decisions, communicating effectively, and working in teams. This integration of theory and practice is essential to defining your unique leadership style and will help you build your professional network. The VCU MBA curriculum contains 19 courses, or 57 credit hours, and is divided into three categories: foundation courses, advanced program courses, and electives. Students may attend on a full-time or part-time basis, but the program must be completed within six years of enrollment. While studying the interrelated functional areas of businesses and exploring case studies, you will develop skills in solving business problems, making decisions, communicating effectively, and working in teams. This integration of theory and practice is essential to defining your unique leadership style and will help you build your professional network. The VCU MBA curriculum contains 19 courses, or 57 credit hours, and is divided into three categories: foundation courses, advanced program courses, and electives. Students may attend on a full-time or part-time basis, but the program must be completed within six years of enrollment. Applicants to all MBA programs at VCU must submit a completed application, two copies of official transcripts for all post-secondary academic work, an official GMAT score report, a resume, a personal statement, and three letters of recommendation. International applicants whose first language is not English must also provide proof of English profic...Applicants to all MBA programs at VCU must submit a completed application, two copies of official transcripts for all post-secondary academic work, an official GMAT score report, a resume, a personal statement, and three letters of recommendation. International applicants whose first language is not English must also provide proof of English proficiency (the school accepts both the TOEFL and the IELTS and evidence of sufficient financial support to cover the cost of attending and expenses while at VCU. VCU admits students for the fall, spring, and summer semesters. 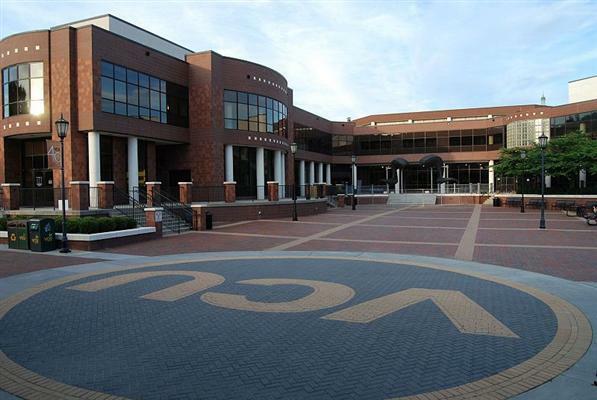 Located in Richmond, Virginia, Virginia Commonwealth University ranks among the top 100 universities in the country in sponsored research and enrolls 30,000 students in more than 195 certificate, undergraduate, graduate, professional, and doctoral programs in 15 schools and one liberal arts college. The School of Business is located in a new facility on VCU's main academic campus in Richmond's historic Fan District. The School of Business is accredited by the AACSB and is an integral part of the Richmond business community. Students regularly participate in local internships and workshops, and are heavily recruited by local companies. The Master of Business Administration focuses on the development of functions and techniques of management, as well as an understanding of environmental and economic forces that influence administration and decision making. Students may choose a concentration in a particular area or complete a general concentration. There is an evening program which can be pursued on a full or part-time basis and an executive weekend program. The Master of Science in Business programs focus on a particular discipline. Most require four foundation courses and ten advanced courses. The Master of Accountancy degree allows students to combine accounting coursework with courses tax, finance, or information systems depending on student area of interest. The Master of Taxation program includes a comprehensive study of tax laws and regulations, administrative practice and procedure, and tax research fundamentals, and is designed to develop both technical knowledge and conceptual understanding within the field of taxation. The Master of Science program in Information Systems is designed to prepare students for specialized roles in information systems and is offered in both an evening format, and in an executive weekend format. The executive program focuses on Information Technology Management and is designed for students with six or more years professional experience. Want more info about Virginia Commonwealth University Graduate School Full Time MBA? Get free advice from education experts and Noodle community members.